He will serve as the Kluge Chair in Countries and Cultures of the North. 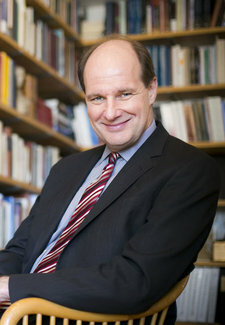 In the summer of 2012, he served as the Maquire Chair in Ethics and American History at the library’s John W. Kluge Center. He also serves as a member of the Scholars Council at the Kluge Center. “I am looking forward to using the immense collection of learning on hand at the library and interacting with the wonderful scholars and curators gathered there,” Witte said. The Kluge Chairs are designed for highly accomplished scholars to utilize the varied resources of the library. There are five Kluge Chairs: American Law and Governance, Countries and Cultures of the North, Countries and Cultures of the South, Technology and Society, and Modern Culture. The Librarian of Congress chooses the Kluge Chairs. The John W. Kluge Center fosters relationships between scholars and political leaders by attracting top scholars to Washington, providing access to the Library’s resources, and engaging them with members of the U.S. Congress and other public figures.